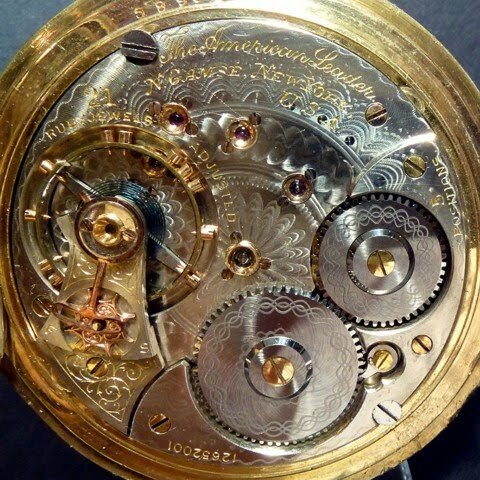 The current research would suggest that the N. Gamse movements made by Waltham were made on a fairly limited basis. The do however appear throughout Model 92 production so there are several variations. Most of the runs were open face movements but there were 3 runs of hunters. To date, there have been no Gamse Model 92s reported between the 7902501-3000 run and the 12028501-9000 run. The hunting case movements appear first, followed by the open face movements. Photos of some of the variations are needed. A photo of any of the missing variations would be welcome and you would receive ackowledgement for your participation. 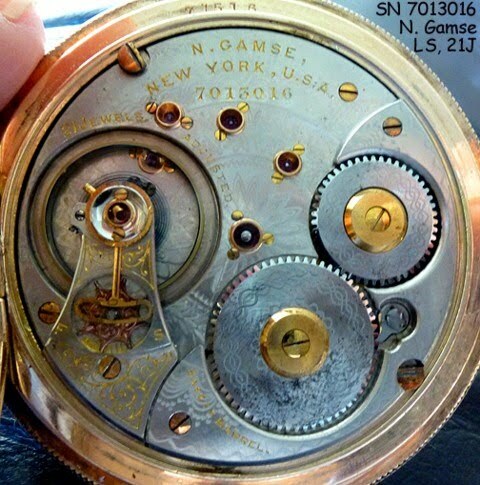 The first reported N. Gamse movement is found in the first run of Model 92 private label movements. It is perhaps the most intuiging because it is marked with Gamse's name but does not say "The American Leader". Gamse contracted with several manufacturers but according to Mike LaForest, a collector of Gamse movements, movements from this run are the earliest known. This variation would be distinguished by the serial number being in Position One, having 2 barrel bridge screws and the round hairspring stud. 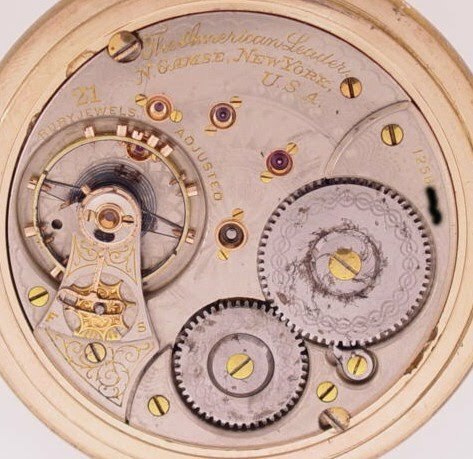 Variation 2 of the hunting case movements are found with the serial number in Position 3, Patented Waltham Stud, and the upper balance jewel screws in the east/west orientation. It is interesting to note that these movements appear in a run that the Gray Book lists as being the first run of open face No. 845 movements. Also note the "5 Positions" marking which does not appear consistently on Model 92s until the 14 millions. These movements, and subsequent Gamse movements, will carry "The American Leader" marking. Variation 3, the final variation of hunters, has the Case Screws in the Edge position, the Split Click, the 08 Patent Regulator and the Groove. These movements will also carry the "5 Positions" marking. 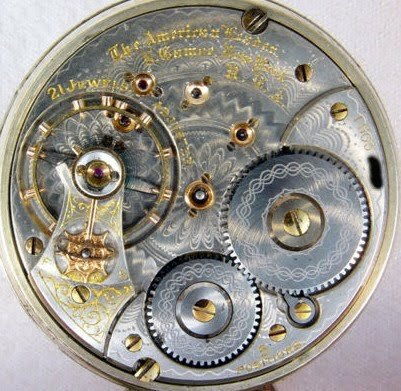 Variation 1 of the open face movements occurs with the serial number in Position 1, two Barrel Bridge Screws and the round Hairspring Stud. Variation 4 open face movements are the first with the Split Click and the 08 Patent Regulator. Variation 5 movements have The Groove.